The partnership of Foundation for Jewish Camp and the Harry and Jeanette Weinberg Foundation provides critical funding for structural improvements and training to promote participation for all. Summer camp should be a place where all kids can join in. To that end, a grant to the Foundation for Jewish Camp will make certain camps more accessible for children. Credit: JCC Camp Chi in Wisconsin. 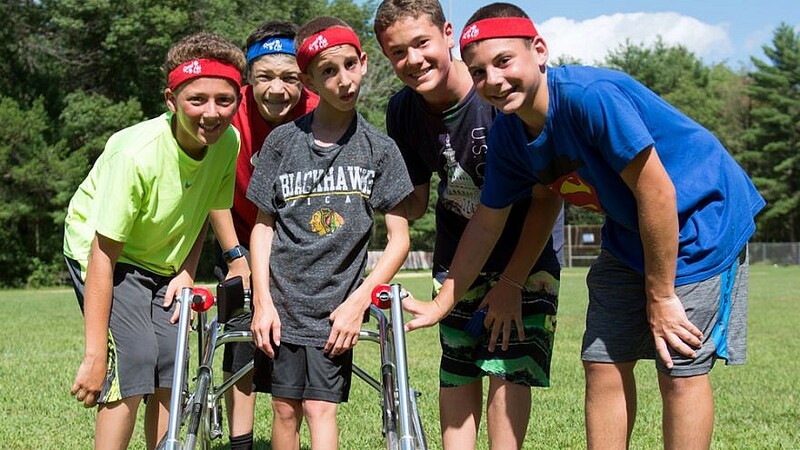 (April 2, 2019 / JNS) Sixteen Jewish camps across North America will be the first recipients this month of a groundbreaking grant to increase accessibility for campers and staff with disabilities through the Yashar Initiative. The Hebrew word yashar translates to both “level” and “integrity,” and like its namesake, the Yashar Initiative is intended to improve accessibility for campers and staff with disabilities on multiple levels by providing funds for capital improvements, professional development, staff training, research and evaluation. The $12 million Yashar Initiative, a program of Foundation for Jewish Camp, funded by the Harry and Jeanette Weinberg Foundation, will enable Jewish day and overnight camps to better welcome all members of the community. It was designed to address the needs of individuals with autism spectrum disorder, as well as people with intellectual, developmental, physical, and sensory disabilities. “Since its founding, the Weinberg Foundation has provided nearly 80 grants, totaling approximately $6 million, to both Jewish and non-Jewish camps to improve accessibility for campers and staff with disabilities,” said Paula B. Pretlow, trustee for the Harry and Jeanette Weinberg Foundation. “This initiative is especially critical because it benefits not only the camps that receive direct funding, but also advances the field regarding inclusion models and training for staff. Each camp will receive money for capital improvements, as well as a program grant totaling $2.5 million for the first round of the initiative. The camps anticipate finishing their improvements by the summer of 2020. Examples of the approved projects include building or renovating bunks to be more accessible for campers and staff; developing sensory gardens, splash pools and playgrounds to enhance services of campers with disabilities; improving accessibility for campers with disabilities as part of construction or renovation of communal buildings, such as dining halls and infirmaries; and creating new housing to serve vocational training programs that allow campers with disabilities to grow into staff roles at camp.